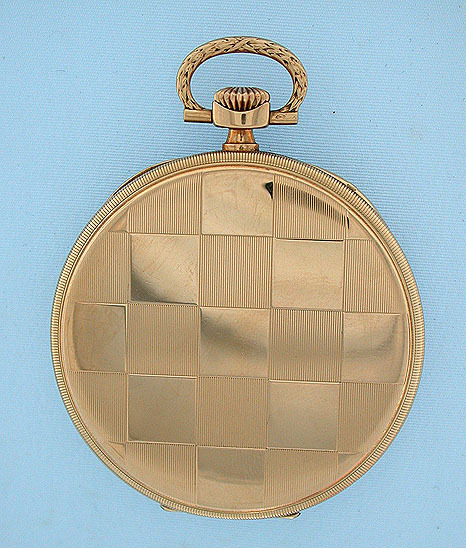 Fine slim 14K gold International Watch Co. Art Deco antique dress pocket watch circa 1925. 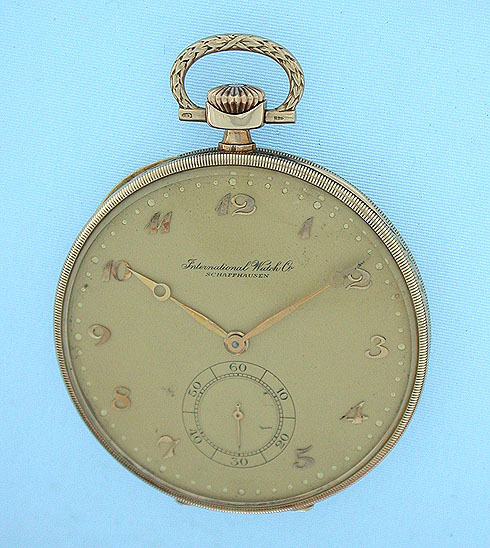 Matte gold dial with applied gold numerals and gold Breguet hands. The signed case with coin milled bezels and checherboard pattern on the back. 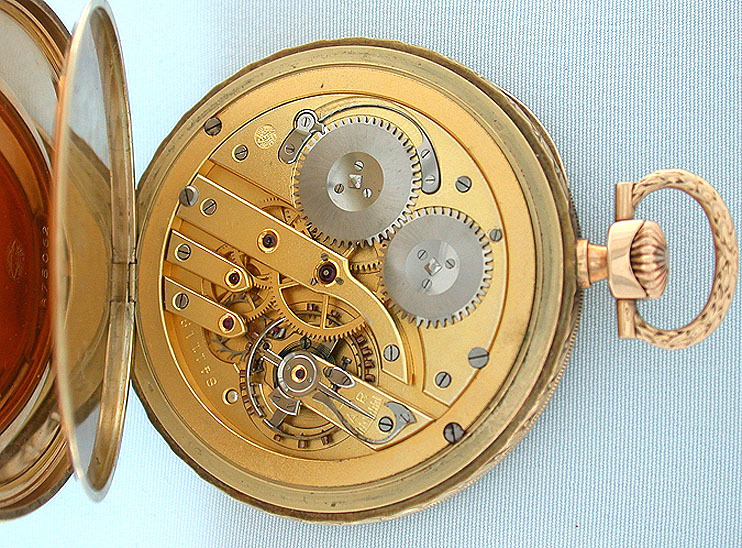 Gilt 16 jewel movement. Handsome and elegant.